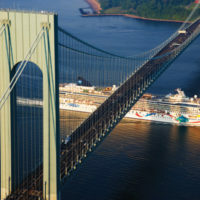 In 2011, the cruise business, generating an economic impact of $239 million in NYC, was stronger than ever. 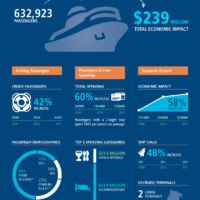 Get at-a-glance stats on the NYCruise 2011 Economic Impact Study. 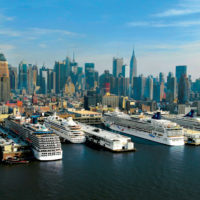 The cruise industry generated an economic impact of $239 million in 2011 for New York City. In 2011, over 632,000 passengers spent nearly $150 Million in New York City. 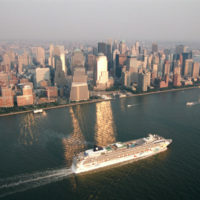 The cruise industry generated an economic impact of $144.6 million in 2010 for New York City. In 2010, 583,000 passengers spent nearly $145 Million in New York City.